Bender UK unveiled the next generation Rail Signalling protection device at Railtex 2017. Over the 3 day period, customers old and new visited the stand eager to see the device which has been designed to comply with the latest standards. Advanced intelligent insulation monitoring equipment is a proven tool for safeguarding critical signalling power systems within the rail network, and enables predictive maintenance and efficient fault-finding to minimise disruption and aid the smooth running of rail services. Bender RS2 and RS3 rail signalling integrated insulation monitoring and earth fault location equipment is fully approved by Network Rail, and sets the standard for safeguarding and monitoring the performance of signalling power supplies. The new and improved RS4 device is based on the earlier variants proven in use by Network Rail delivering vital information on the status of power supplies. Smaller and more compact in size the RS4 will be supplied tested and ready for easy ‘plug and play’ installation and commissioning alongside existing power infrastructure systems up to AC650V. It is easily interchangeable with the present RS3 and RS2 units to upgrade performance at an affordable cost. RS4 is simpler to install and commission, and incorporates GSM-enabled data loggers equipped for real time communication with the rail system’s Intelligent Infrastructure, delivering immediate notification of insulation faults which are identified by the system. The ability of RS4 to identify fault locations more precisely means maintenance teams can respond rapidly, enhancing safety and reducing downtime costs. 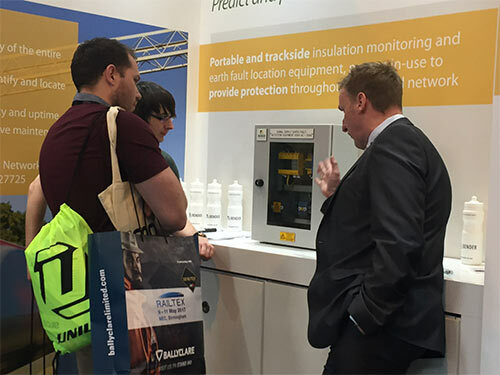 The enhanced RS4 will meet the new standards being introduced for rail safety and assurance within Network Rail’s requirements for Insulation Monitoring Devices/Systems (IMDs) and Insulation Fault Location Systems (IFLSs). Bender UK Managing Director Gareth Brunton explains: “Our equipment enables customers to plan their intervention around their business needs – intelligent monitoring to deliver intelligent maintenance and minimise disruption to the rail network. We are continually seeking to upgrade the performance of our RS systems to respond to the needs of our customer base and help them to comply with the latest regulations. “RS3/4 continually checks the health of the power system, and immediately notifies the Intelligent Infrastructure via the GSM capability if that status changes, indicating a fault or a problem in the making. The customer can address the fault immediately or plan maintenance intervention. The new RS4 is just part of the huge Bender rail offering which includes power quality meters, insulation monitoring devices and monitoring software for rolling stock, signal power, points heating and trackside use.